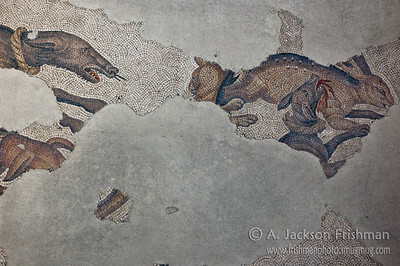 Byzantine and Ottoman sights, September-October 2009. 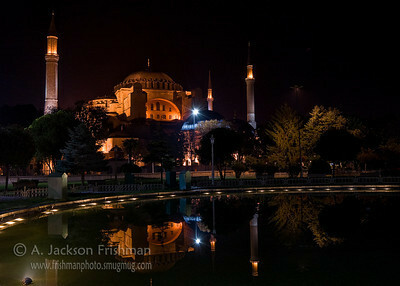 Aya Sofya at night, Istanbul. 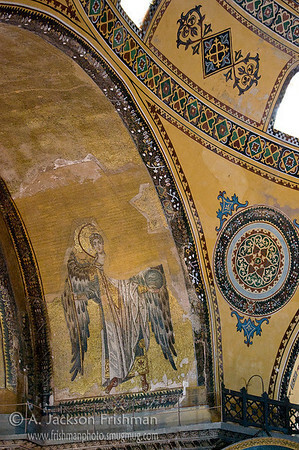 Archangel icon and Ottoman decorations, Aya Sofya, Istanbul. 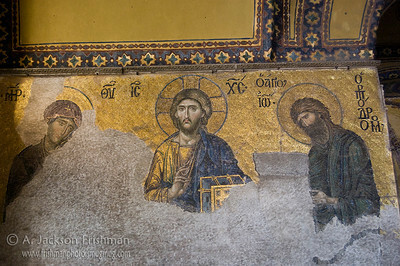 Deisis mosaic depicting Christ, the Theotokos and St. John the Baptist, Aya Sofya, Istanbul. 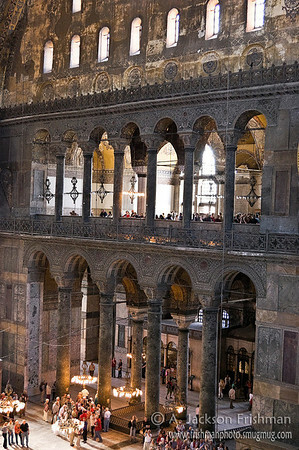 Columns in the nave of Aya Sofya, Istanbul. 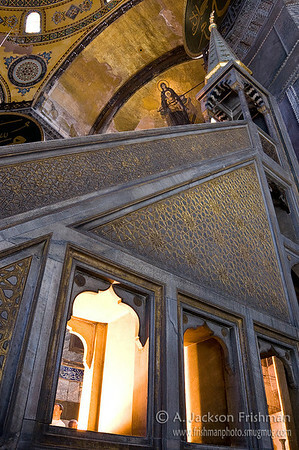 Icon of the Theotokos over Ottoman mimber, Aya Sofya, Istanbul. 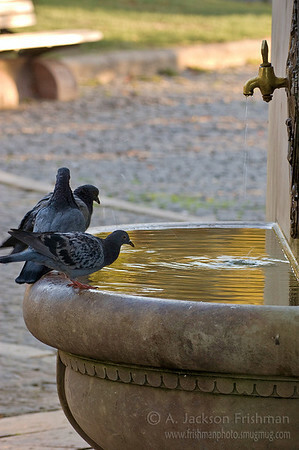 Pigeons at Kaiser Wilhelm's Fountain in Istanbul's Hippodrome. 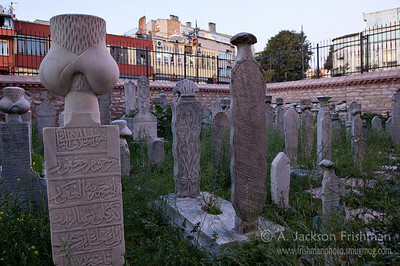 Ottoman cemetery beside Little Aya Sofya, Istanbul. The carved headgear represents the turban worn by the deceased in life, which would have marked his status and occupation. 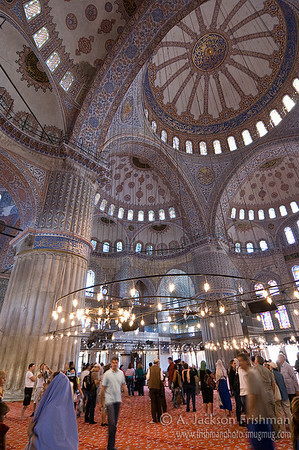 Little Aya Sofya, Istanbul, Turkey. 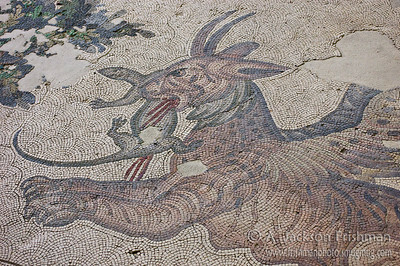 Byzantine hound and hare mosaic, Istanbul. 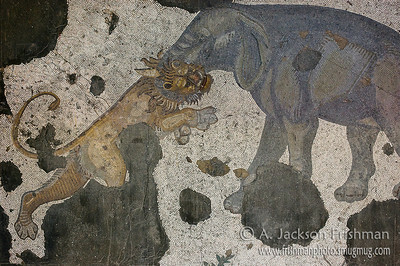 Elephant and lion, Byzantine mosaic, Istanbul. 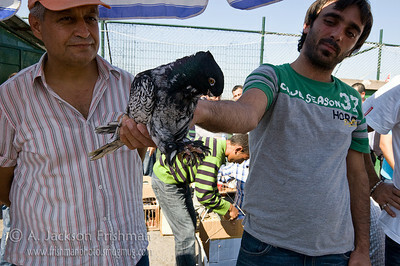 Youths showing off their poultry at Istanbul's Pigeon Bazaar. 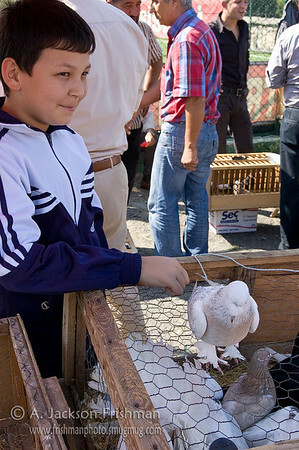 Boy and bird at the pigeon bazaar, Istanbul. 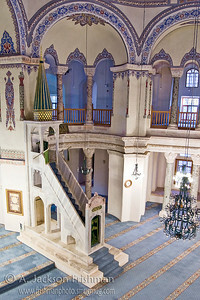 Showing off an Ottoman breed of pigeon at Istanbul's Pigeon Bazaar. 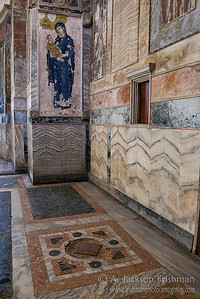 Marbles and icon in Chora Church, Istanbul. 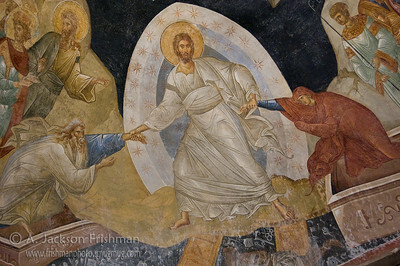 Resurrection icon in Chora Church, Istanbul. 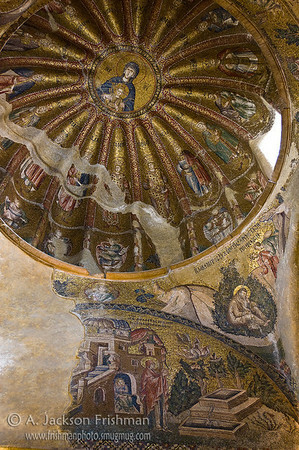 Dome in Chora Church, Istanbul. 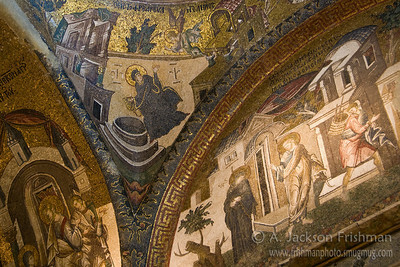 Mosaics in Chora Church, Istanbul. 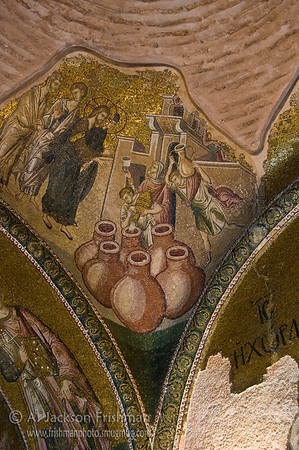 Mosaic of the Wedding at Cana, Chora Church, Istanbul. 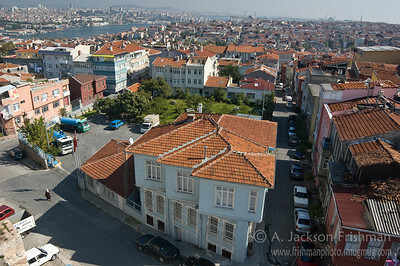 Looking to the Golden Horn from the Byzantine land walls, Istanbul. 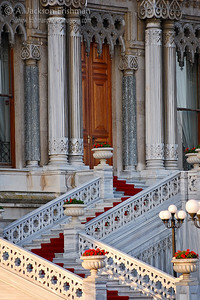 Doorway facing the Bosphorus at Dolmabahçe Palace, Istanbul. 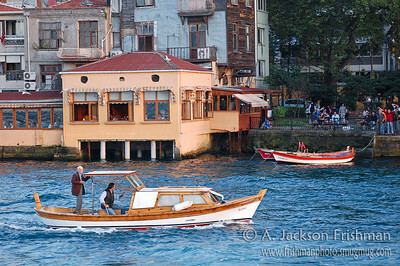 Boatmen on the Bosphorus, Istanbul. 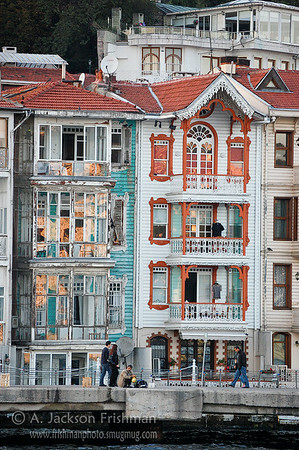 Ottoman houses along the Bosphorus, Istanbul. 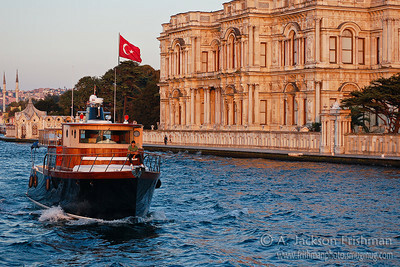 Bosphorus traffic beside Beylerbeyi Palace, Istanbul. 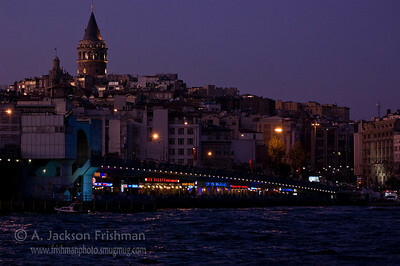 Evening at Galata Bridge and Tower, Istanbul. 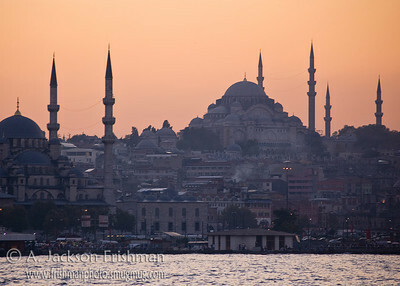 Sunset over Suleymaniye and New Mosques from the Bosphorus, Istanbul.